About the Author: This book won her a Pulitzer Prize so I figured that was a good sign! She is a native New Yorker, has written FOR the New Yorker, and is surely a professional science nerd. Main Characters: This non-fiction book covers Elizabeth’s journey of discovery as she visits different research facilities around the world to see why certain species are currently endangered and going extinct. She meets lots of fellow scientists, who are also from around the globe, and I guess they count as the other characters, but really the different extinct and endangered species are the main subjects of this book. However, there are way more than 6 species that are at risk right now, so I’m not going to attempt to list them all here. Lessons Learned: This planet is home to millions of different beings. We all contain life. We are all worthy of being here. We are worth preserving. Earth is surprisingly resilient, even though sometimes things can only change very, very slowly. While sometimes things may seem bleak, like when you pave paradise and put a parking lot… you still get dandelions. Somehow, life finds a way to prevail. Unfortunately, survival of the fittest is definitely a common theme, and species that are more fragile and specialized cannot adapt and tend to die off when their environment changes. This is a trend that has repeated for millions of years… since the beginning of life on Earth. Personal Opinions: After reading sci-fi last month, I wanted something REAL. I went for the polar opposite with this nonfiction earth science primer. It was tough to keep up with all of the complicated terms and concepts at times. 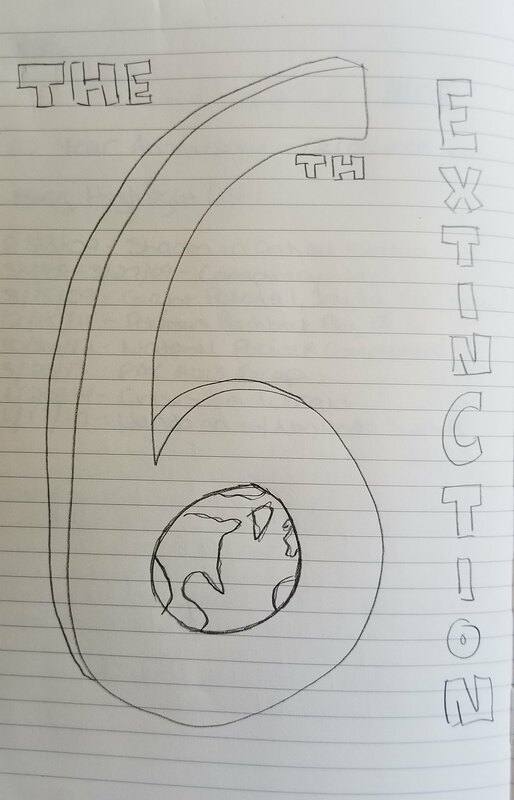 I think the subject matter of this book is extremely important to be aware of, and planet conservation is essential to maintain life as we know it. Should something catastrophic happen due to climate change, we would have to adapt and it would definitely not be easy. However, I don’t think the world would end. I believe that the living beings on Earth are resilient and find a way to survive. You can find life in the most extremely difficult terrains and conditions. It’s a matter of being adaptable. But what if the coral reef died? The entire ocean’s balanced eco-system would be altered. What if the polar ice caps melted, causing over-flooding to the oceans? What if we released so much carbion dioxide into the air that the oceans absorbed it and turned into acid water? Can humans adapt to that? ?